I state in my Statement of Ethics that if I accept a review sample, I will disclose it at the beginning of the article. Please consider it disclosed. I’d like to thank simoneink for providing this sample to me with no strings attached. And they have a point, to an extent. Bourbon is put into a second barrel to pick up some of the flavors of that cask. When the cask previously held another spirit (or wine or beer), those are the flavors you are trying to get. Is this bad? Not in my estimation, but then I tend to like cask-finished bourbons and ryes. I even like the occasional infused bourbon. I get that not everyone does but to each their own. I'm not here to judge what a person likes. I'm only here to judge a bourbon. In this case, the bourbon in question is Belle Meade Bourbon finished in used Madeira barrels. It is a limited edition release from the folks at Nelson's Green Briar Distillery in Nashville, Tennessee. 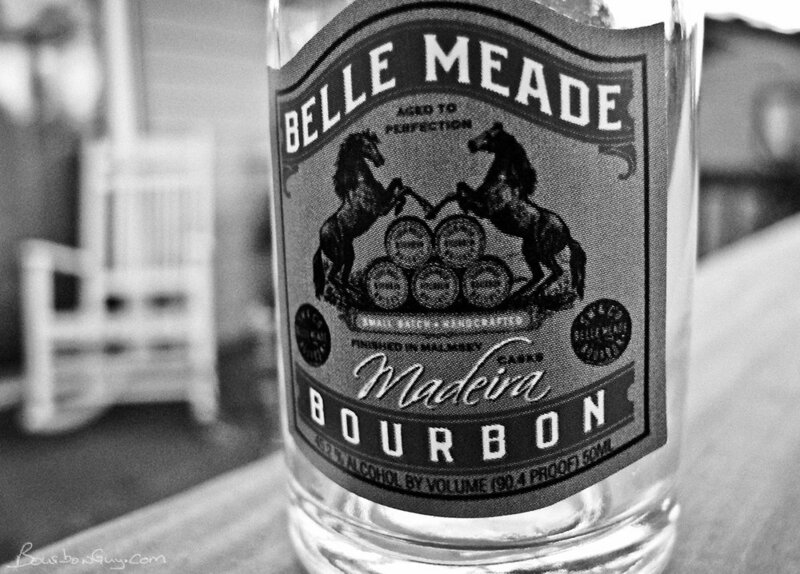 Belle Meade Bourbon is the brand name that they use for the sourced bourbon that they sell while they work on making their distilled-in-house whiskeys. Sku tells us they source from MGP in Indiana. At this point, I'm sure you know what bourbon is. (If not, shoot me an email. I'll personally bring you up to speed.) You might be asking yourself what Madeira is, though. I know I was. The only thing I knew about it was that it is a type of wine and it was a favorite of George Washington and other Founding Fathers. And since it is the finish that is the difference in this one, I thought it might be worthwhile to take a minute to discover just what Madeira is. Purchase Info: This review sample was supplied by simoneink. Suggested retail price is $74.99. Details: 45.2% ABV. Bourbon finished in a Malmsey Madeira cask. Nose: Sweet and delicately fruity with dried fruits, brown sugar, and oak. Mouth: Fruity and peppery in the mouth. Plums, black cherries, baking spices, maple, and cocoa. Finish: Warm and of decent length. The whiskey and the wine notes both hang around a while. Thoughts: On my first sip of this, I was struck by a distinct brandy flavor at the front of my mouth. As it moved back, the whiskey showed itself. It was kind of like a spirit mullet. After a few more sips, this experience settled down, and I was able to start to pick out individual notes. Overall this is a nice spirit. I found it to be quite tasty. If it sold for $45-$50, it would be an easy one to recommend. As it stands, I doubt I would personally spend $75 on this one. But price/value is subjective so if you are looking for something tasty and different, and if $75 is easy for you to come by, then give this a shot. I will say that it was good enough that I would consider spending the $35 they ask for the regular release the next time I'm visiting a place where it is sold.